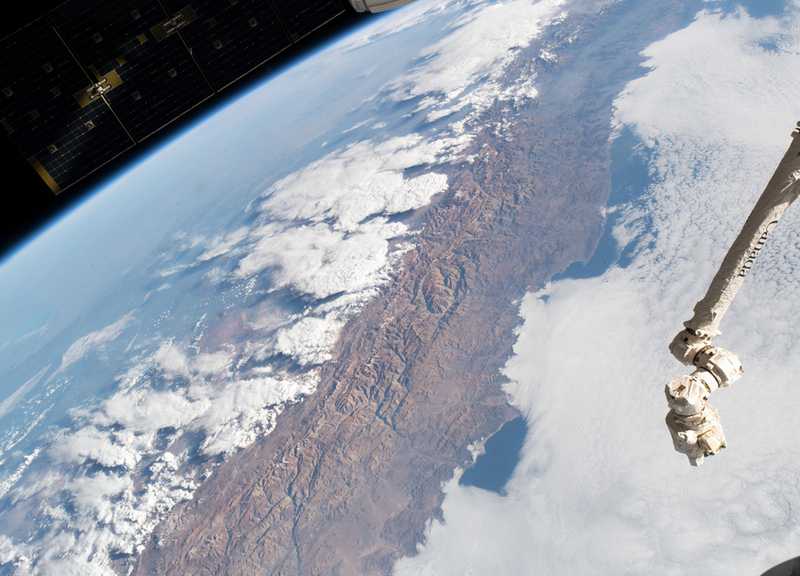 The cloud-covered Pacific coast of the South American nation of Chile contrasts with the Andes Mountain range and the cloud formations extending over Argentina. 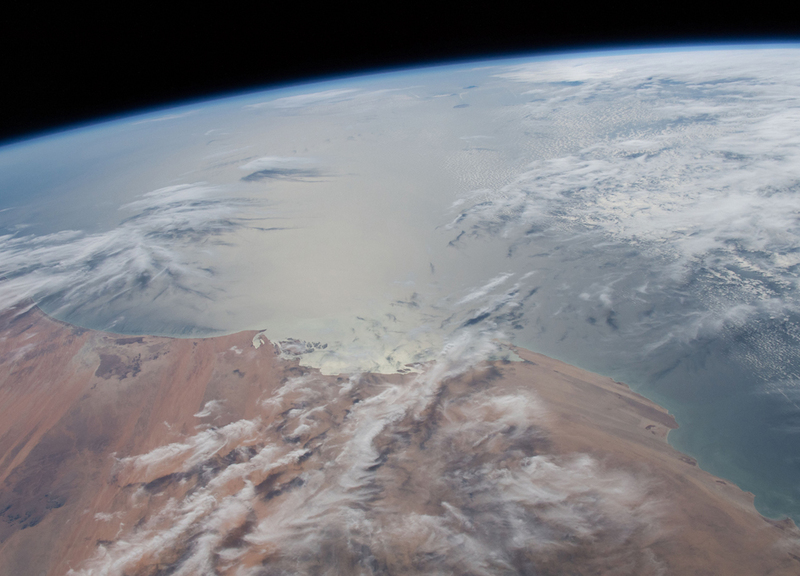 The Sun's glint radiates off the Atlantic Ocean as the International Space Station orbited 253 miles above the African nation of Mauritania. 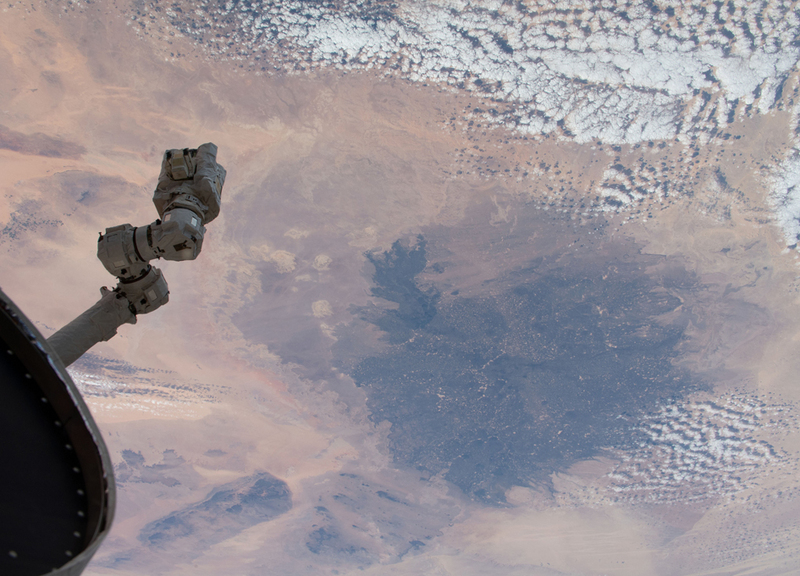 The International Space Station's robotic arm, Canadarm2, seemingly reaches out to the North African nation of Libya and the Sahara 251 miles below. 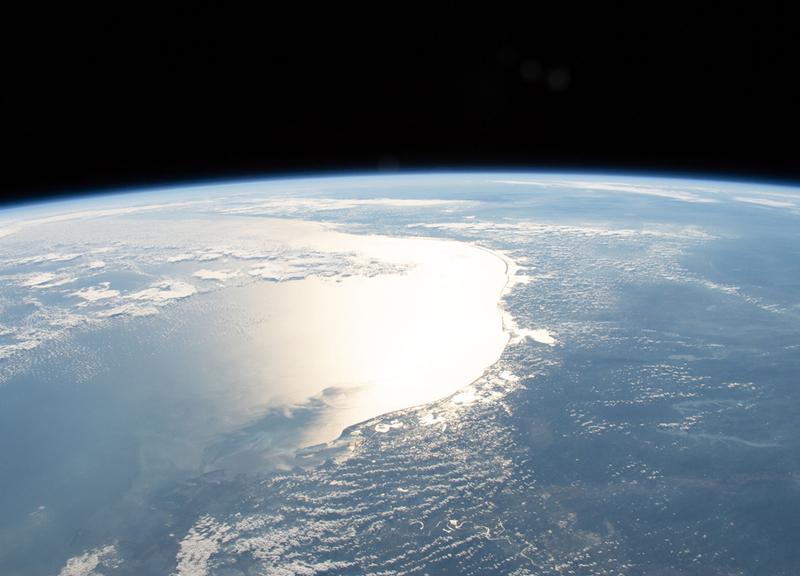 The Sun's glint reflects off the Gulf of Mexico and outlines the coasts of Texas and Louisiana. The International Space Station was orbiting 254 miles above Louisiana when an Expedition 58 crew member photographed the Gulf coast including Matagorda Bay, Galvestion Bay and Sabine Lake. 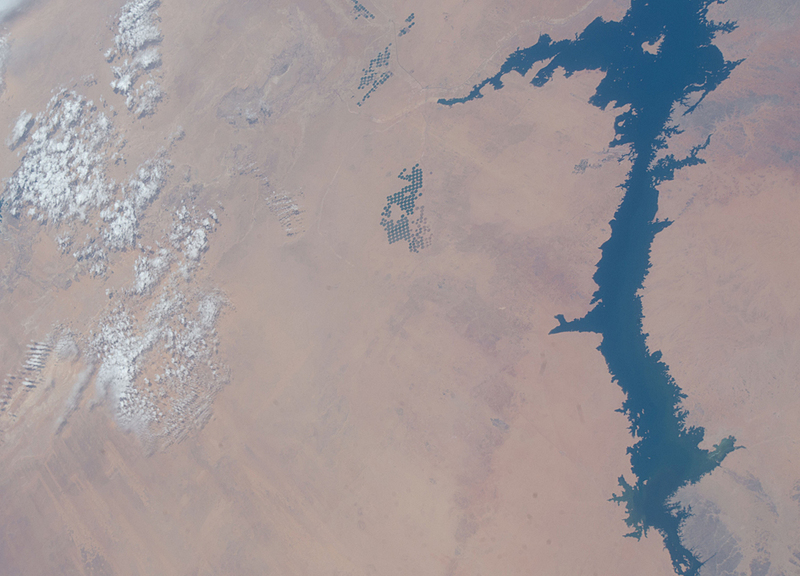 Lake Nasser in Egypt, which leads to the Nile River, is pictured as the International Space Station orbited 251 miles above the Western Desert in the African nation. 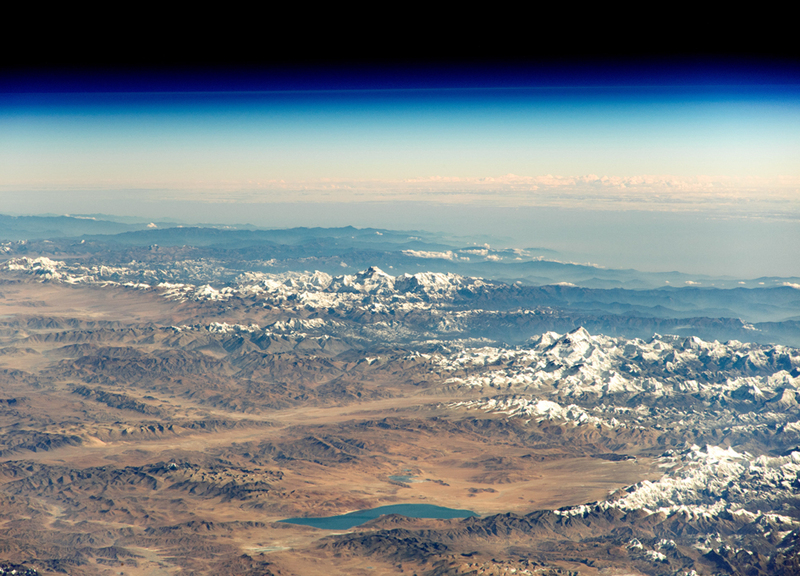 An astronaut aboard the International Space Station shot this oblique photograph of Mount Everest, Earth's tallest mountain (when measured from sea level). 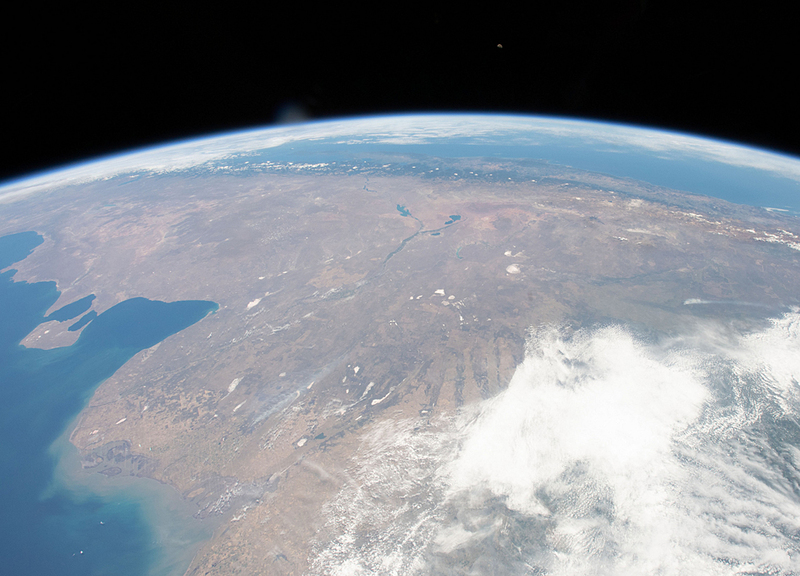 This photograph of South America from bottom to top looks from the northeast coast of Argentina to southwest across Chile, the Andes mountains and the Pacific Ocean.